I know your confusion and despair. I’ve sat with Deep Sadness and he makes an uncomfortable companion—especially when he invites his buddy Hopeless to join us. 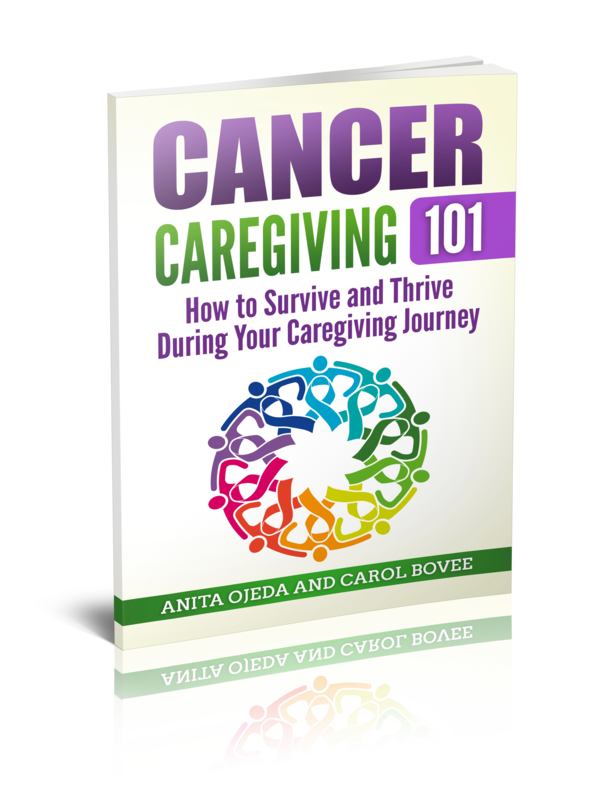 Everyone seems to focus on the one you selflessly care for—conversation revolves around the latest tests, remedies, prescriptions, progress and setbacks. And that’s ok. After all, the one you care for needs those prayers and concern and comfort. But, oh, some days it’s so hard to care for someone because no one recognizes YOUR suffering. You’ve set aside YOUR dreams to care for a loved one. You shortchange your work because you’re too drained to give one hundred percent to your employer AND to the one you care for. Added to those things, you suffer mentally and emotionally for the one you care for. The laundry piles up and dust gathers in the corners and creeps into public places and then pounds the floor with little fists that scream, “Look at me! Look at me!” to every guest that walks through the door (the sometimes steady stream of visitors wears an obvious path through your lack of housekeeping). You consider locking yourself in the bathroom with a good magazine for just ten minutes, but then guilt whispers, “What if he needs me?” and you limit yourself to answering the simple call of nature. But oh, if only you could luxuriate in a bubble bath—uninterrupted—for even twenty minutes. If the illness lingers, you find yourself weighted with worry. What about FMLA? Does twelve weeks include the weekends? How long can I be gone and how long will my loved one need me? Friend, suffering has taken up residence in your life just as surely as illness has invaded the body of your loved one. July of 2002 stands out as one of the craziest months in my life. The doctors declared that after only four chemo treatments, Pedro was in remission. We hosted a family reunion, I sent our daughters off to summer camp two states away, Pedro got pneumonia and earned a trip to the hospital, we drove out to Oregon to pick up our girls, and then the cancer came back with a vengeance—this time, the lymphoma cells crossed the blood-brain barrier and invaded Pedro’s central nervous system. As event piled upon event, I felt more and more afflicted. Fortunately, as a teacher, I had the summer months off, but as the start of the school year approached, I had no idea what I’d do. The end of July and start of August remain hazy in my memory. I can’t remember where our girls were during this time—which shows just how afflicted I was. What mother can’t remember where her children are? Thankfully, my parents offered to come out and help us. My dad (a retired educator) volunteered to substitute for me whenever I needed to be absent, and my mom volunteered to long-term sub for Pedro at the elementary school where he worked. I spent the nights in the local hospital, sleeping on a lumpy hospital cot and hanging out with Pedro. I tried valiantly to stick to my new exercise routine of running each morning after I helped him eat breakfast (the lymphoma cells were slowly freezing the muscles in his face). The morning Pedro’s wedding ring fell off when he stood up because he’d lost so much weight, I scarcely made it out the double doors of the hospital for my run before I burst into tears. I jogged to the top of a nearby hill and stopped, gulping in air and leaking tears. It all seemed like too much to handle. I closed my eyes and saw the future as a giant blank. I had nothing to look forward to, and everything to fear. As tears streamed down my face, I felt a presence wrap around me, and a hand dropped gently onto my shoulder. My eyes popped open, had some other jogger seen my distress and snuck up behind to offer me comfort? I stood alone on the top of the hill. But not alone. 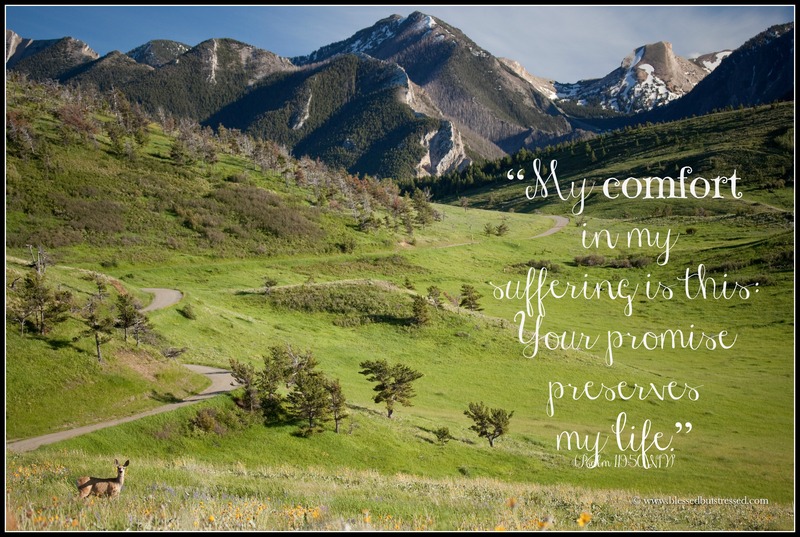 The future might have looked blank and bleak, but God had come to me in my suffering. I leaned back into his comfort, ready for another day of caregiving. I knew without a doubt that whatever the future held, the hand on my shoulder belonged to God, and I didn’t have to face it alone. He promises to come to you in your affliction, dear #Caregiver. You don’t have to face anything alone. Linking up with Barbie at the Weekend Brew.